Astrology is a science and so is Yoga. They may be different on so many levels, but interestingly, the subject remains the same, human lifestyle. 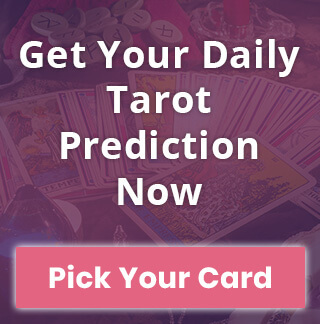 Where Astrology studies the influences of planetary bodies on a human being and his destiny, Yoga, on the other hand, is all about finding the right balance between physical and mental energy channels. If you’re wondering as to how these two are related to each other, then believe us, this is a no-brainer. 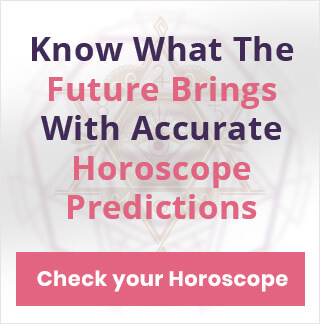 As a matter of fact, there is a direct relation: Horoscope and Astrology is all about planets, and if we refer to the ancient Indian texts, the human body is apparently home to all those. But let’s not get ahead of ourselves because as interesting as it sounds, there needs to be a systematic approach to understand this concept. What is the Common Point Between Astrology and Yoga? The basic idea behind Yoga and Astrology is correspondence and duality which translates as a connection between the universe and the man. The cosmic energies floating in the endless space can be vastly infinite and can be as compact as an atom. Similarly, the planets in the solar system can be remodeled or transfigured as different organs and systems, each with a unique frequency band. The physiological centers in the body can be trained and manipulated to negate the adverse effects of these planetary bodies on a human being, thus improving the overall mental, physical, social, financial, moral, and spiritual well being. 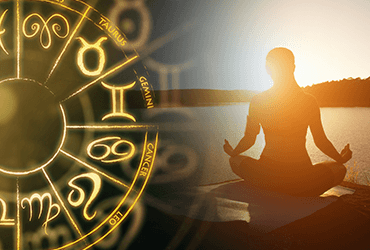 What Connects Yoga To Astrology? The Sun and The Moon: The two predominant cosmic figures as per Astrology, and for Yoga, they represent respiration. Regulation exercises to channel breathing stimulates the movement of Sun and Moon. Inhaling symbolizes the Moon and exhaling symbolizes the Sun. By getting a control over breathing, one can avert the adverse effects of Sun and Moon and their combination. Jupiter: It is the ruler of comprehensive intelligence, and represents growth. In Yoga, it resides in the digestive system, hence different Yoga postures or ãsanã (Sanskrit term of various poses), that prompts vitality into the digestive system can influence the effects of Jupiter. Mars: Mars is a dynamic planet that represents anger. Yoga translates this into fiery eyeballs that gaze upon the infinite universe. Yoga exercises that stimulate eye movements or helps achieve better vision can influence Mars. Saturn: Saturn is the symbol of power and authority and also influences the ability to focus. Yogas corresponding to plexus center can be beneficial to moderate the effects of this planet. Venus: The planet of physical growth and fertility. Observing Yoga exercises that sublimate the ability to reproduce can be helpful in controlling the effects of Venus. It also plays a critical role in achieving a successful married life. Mercury: It represents the flow, maybe that’s why it resides in the heart. Yoga asanas corresponding to cardiovascular can control the influence of Mercury on a human being. The importance of Yoga, as well as Astrology, is supreme in our lives provided we understand their significance and application in our day to day life.